With your handy Shop By Motorhomes Feature all you need is to fill in the Make, Range, Model and Year of your caravan and all products for your Caravan will appear! 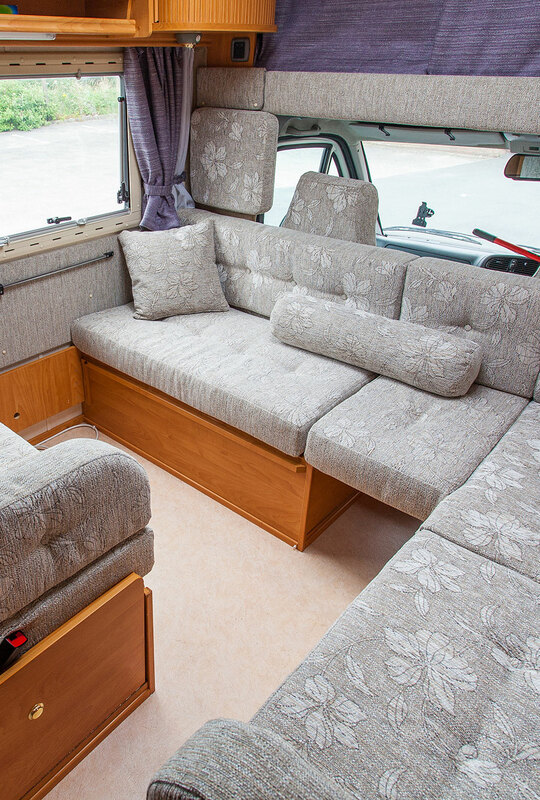 Motorhome bedding made by the UK’s number one for motorhome bedding and caravan bedding, we offer first class service for all motorhome owners whilst providing outstanding products. Before Jonic, finding Bedding, Memory Foam and Mattresses to fit motorhomes used to prove problematic. Not only did standard bedding not fit but left beds looking untidy. Jonic solved this problem by offering a range of products which are made to fit motorhome beds perfectly. Jonic cater for all shapes and sizes including Nearside Cut Offs, Offside Cut Offs, Island, Twin beds, Over cabs, Rear Doubles, Dinette, Bunks and any other shape or size! We even have a solution to the difficulty of fitting sheets on the cut off beds with our revolution ‘Snoozy Wrap’ which offers the comfort of a sheet and duvet with the ease of a sleeping bag! All our motorhome fitted sheets, motorhome memory foam, motorhome shaped duvets, motorhome mattress protectors, motorhome mattresses are all made model specific therefore ensuring that they are the correct depth, width, length and shaping. We request details of your motorhome on the order form at the end of the shopping process.